February 4, 2019 - U.S. met coal supplies have tightened in high-vol A and high-vol B grades as production dropped off in the fourth quarter, limiting spot opportunities currently, according to suppliers and traders who met in Miami last week. 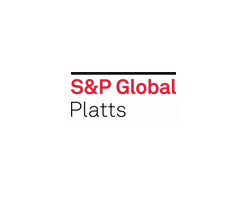 U.S. met coal export prices relative to the TSI Premium HCC benchmark for Australian FOB exports have risen in January, with the S&P Global Platts high-vol A assessment at around parity with TSI PHCC on average last month, up from just below 95% of TSI in December. High-vol B rose to 83% to the TSI PHCC benchmark in January, from 76% in December. U.S. East Coast low-vol may be better balanced on strong regional demand and as the Pinnacle mine closure helped offset a reduction in demand from China due to tariffs on U.S. coals. Fewer U.S. blends were being sold into tariff-hit Turkey since the second half of 2018, sources said, which led to more blend material, especially in Central and Northern Appalachia, seeking other markets. Since bankruptcies hit the U.S. sector, met coal mining output recovered slowly from 2015, with upside limited by structural barriers such as availability and maintenance rates on equipment, and hiring qualified personnel. Blackhawk's Panther mining complex was planned to recover in volumes this quarter from a sharp drop in output during the fourth quarter at the American Eagle mine, according to sources close to the matter, citing MSHA data. U.S. domestic demand for high-vol A and other better quality high-vols and mid-vols was being supported by coke shortages and steel rates, sources said. Along with stronger Indian purchasing for U.S. mid-vol blend in Q1 reported earlier, a 20% decline in Q4 output at Arch Coal's Leer Mine and with the outage at Ramaco's Elk Creek limited quantities for prompt spot export sales. Arch made a longwall mining section change at Leer in Q4, the company said. "Traditionally when premium low-vol or mid-vol is not available or rise in price, Atlantic buyers tend to buy more high-vol A," a miner said. Japan may be set to continue to buy more U.S. coals, in line with the rise in U.S. met coal exports to Asia's biggest buyer in 2018, according to a buyer. U.S. met coal shipments to Japan were running at around a 20% increase in 2018, based on latest U.S. customs data.